Heather Neese is an established HR professional having worked in the field for over a decade as a Classification and Compensation Analyst, as well as in management. Heather earned her Master’s in Human Resources Management from Troy University and is a certified Senior Professional in Human Resources (SPHR). As HR Director at IMS ExpertServices, Heather’s main focus is in building and maintaining an engaged and agile workforce. Teresa is a strategic advisor and consultant trusted by clients across boardrooms, town hall meetings, and in the field. Ms. Barber understands and deploys best practices in branding, market strategy, issues management, business development, communications, and strategic planning. She helps clients excel toward critical goals and work collaboratively across disparate perspectives. She has a passion for innovation and entrepreneurship, stakeholder engagement, STEM, economic development, and community strategy. 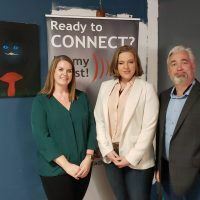 Teresa has helped hundreds of non-profit, Fortune 500 corporate, and public sector leaders diagnose branding, strategic, and community growth problems. She is an expert in navigating difficult and complex issues and crises and has been recognized as a national STEM expert. 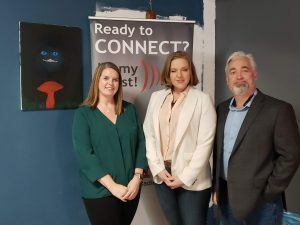 She provides coaching, facilitation, and consulting for clients ranging from entrepreneurial start-ups to large government agencies, economic and workforce development systems, and non-profits. She has launched and announced regional efforts through social media, built conversation with international press, and created project management tools to anticipate trends, messages, and competitive stories in the sphere of public discourse. James is a corporate executive with a background as an attorney advising corporate clients and their law firms regarding litigation and compliance matters, especially focused on the integration of technology into the process. He is interested in developing business synergy with strategic partners and building networks of high performing organizations and talented individuals. Experienced and proven results in directing people, managing projects and creating success. Bill Wein has over 25 years experience in building organizations providing human capital solutions. As co-founder and principal, he has helped build three very successful Executive Search and Consulting firms: Media Management Resources, Inc., Intelligent Management Solutions, Inc. and IMS Expert Services. Through these firms, Bill has built teams within some of the most successful companies in the world to include Philips Broadband, Time Warner, Comcast, AT&T, Sprint, Motorola, and Cox Communications. Previously, he held Sales & Marketing roles in two prestigious telecommunications firms: U.S. West and Jones Intercable. As CEO of IMS Expert Services, Bill leads a team that plays a key role in assisting top attorneys involved in high-stakes litigation attract and retain expert witnesses and consultants. IMS ExpertServices is a consultative expert services firm dedicated to protecting and advancing the reputations of our clients. We support the world’s most influential attorneys and clients through rigorous research and expert recruiting, strategic expert alignment, and administrative services that position clients for success on high stakes commercial matters. As the pioneer in the industry, IMS ExpertServices has cultivated relationships with premier subject matter experts across every industry and discipline, with the credentials, experience, and disposition to engage on high stakes Biglaw matters. We have developed proprietary research methods and industry connections, which also allow us to identify solutions and subject matter expertise for our clients handling matters with the most unique specifications. Law Firms: We locate and deliver high quality experts to testify in complex business litigation. Learn more about the services we provide to law firm attorneys. Corporate Counsel: We provide consultants to assist with regulatory issues, intellectual property valuation, and a range of other corporate projects. Read more about the services we provide to corporate counsel. Experts: We place highly qualified experts on major corporate cases. 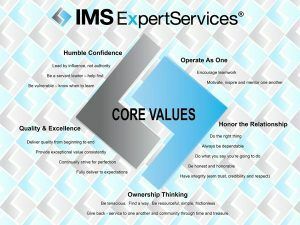 Learn more about the advantages of being an expert through IMS ExpertServices on the expert services page. We handle all back-office services including contracts, billing, and collections. To view examples of the types of experts with whom we have developed a relationship, you can browse by category or keyword. This is not an exhaustive list. It’s likely that you will not find the expert for which you are looking – good thing our core competency is search.